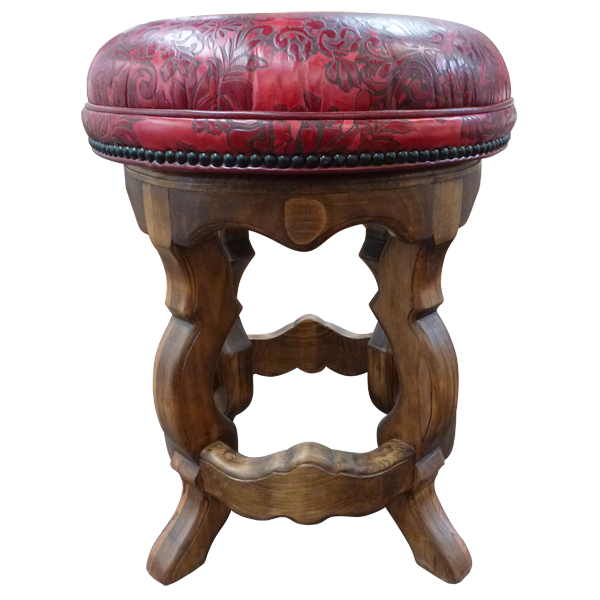 The flawless craftsmanship and its imaginative contemporary design create a stationary handcrafted bar stool that will be a focal point in your home décor. 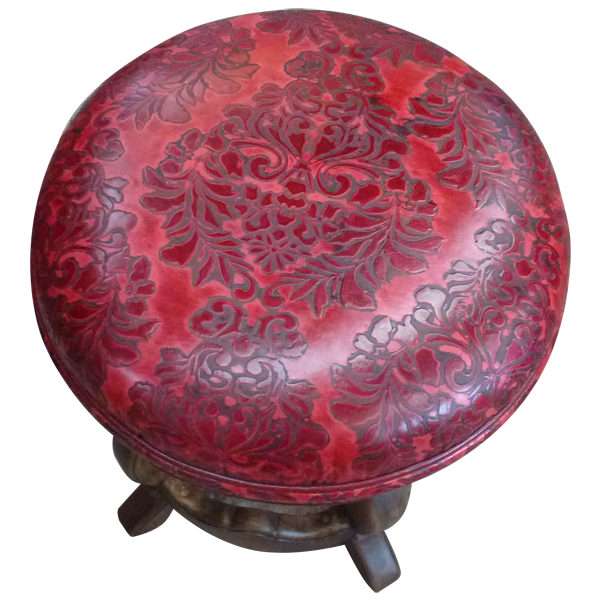 As its name indicates, the bar stool is upholstered in brilliant, red, embossed full grain leather. 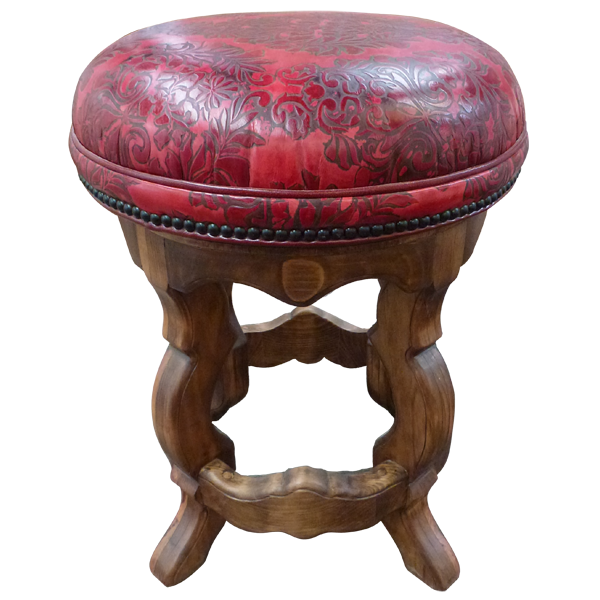 The bar stool is enhanced by contrasting red upholstery and dark finished hand tacks. 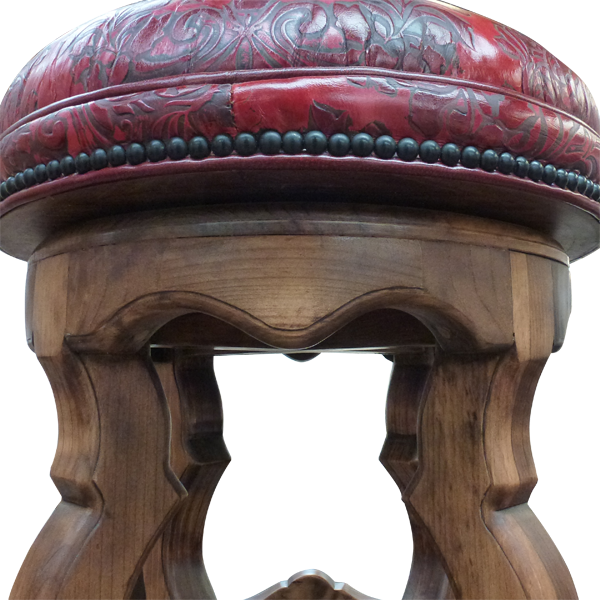 The base and legs of the bar stool are beautifully finished and are ornately hand carved. The legs are joined by wood supports that are also beautifully hand carved. The upholstery is hand tacked with precision to the entire wood base by our skilled craftsmen. Lovely and durable, the bar stool is made with the best wood available. It is 100% customizable.